We are one among the several leading international quality machine tools suppliers and our business motto is to provide best quality and international standard based machine tools to many industries and manufacturing firms worldwide. Our range of machinery is based comprehensive aspects expected in Engineering Workshop Machinery which can help to face any sort of challenge. We manufacture and supply plethora of lathe machine models such as v-belt driven lathe, all geared lathe, CNC lathe, light, medium, heavy and extra heavy duty lathe machines and proved ourselves to be the largest lathe supplier from India. 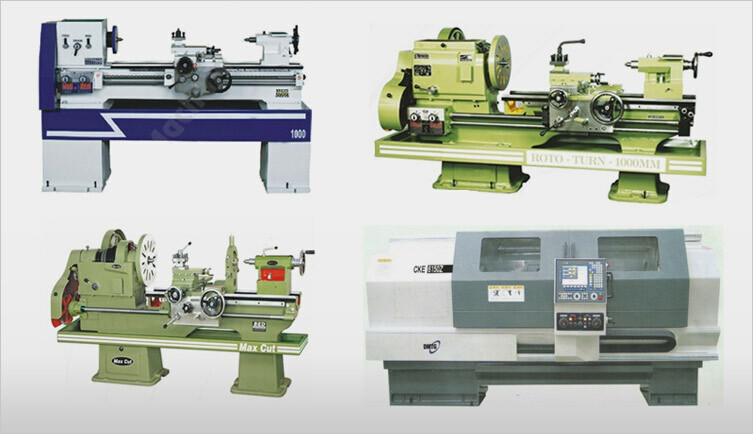 We have experienced technical team that assists in multiple ways to obtain high standards in machine manufacturing to fulfill the requirement of genuine and cost effective lathe machines for our consumers.